You have a sweet tooth, don’t you? There’s no point in hiding it, after all you’ve come to this page for a reason. We all know that sugar is bad for us, but who doesn’t want to indulge themselves in the delightful sweetness that a delicious dessert is. If you’re going to give into your weakness, you might as well do it right. So what’s for dessert tonight? We have 20 of our favorite dessert recipes lined up for you and each of them is a treat. Most of these recipes are very easy to make and we have no doubt they’ll become some of your favorites as well. Enjoy! Ever wandered how to make those delicious chocolates at home without wasting your money? Those ice cube trays are good not only for the ice. You’ll love these chocolates with three different fillings. Would you like something gooey? These cookie bars filled with carammel and chocolate chips are true delights. And they are very easy to make too. This is an absolutely most yummy mouth watering banana cake that you can possibly bake. You can add slices of banana on top to brown them or serve with fresh slices. Are you drooling already? These little rolls are easy to make and are better than apple pie. In little bites, it’s a delightful dessert that you’ll enjoy eating as much as making. OK, so crockpot desserts aren’t that popular because they take some time to prepare. However, this recipe is worth the wait. You will love the gooey deliciousness of this brownie pudding. Best served with ice cream. No bake desserts are really the best. They are easy to prepare and there’s less mess to clean afterwards. This cheesecake is as delicious as it’s easy to make. Yum! 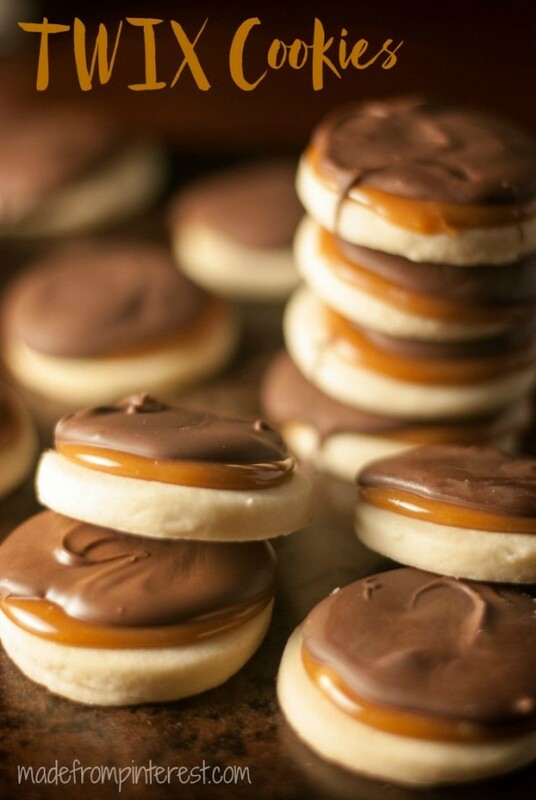 If you like Twix bars, you will love these shortbread cookies. They combine the best flavor of your favorite Twix and brings a whole new way to enjoy it. We can’t imagine autumn without pumpkins and without pumpkin spice desserts. Introducing pumpkin spice cookies that you’ll enjoy in autumn and beyond. Here’s another no bake recipe for the most delicious banana split dessert that you’ll be making again and again. It’s creamy, it’s yummy, it combines all the ingredients you love. Is this chocolate cake the most amazing? We’ll leave it for you to decide but you’ll definitelly love its moist yummy taste. Cream cheese gives these cookies a rich texture that is only made better by melty chocolate chip filling. Try making some of the best cookies you’ll ever taste. Yummy red velvet cake filling in white chocolet bites – something to fall in love with. No wonder these delights are originally made for the Valentine’s Day. You’ll love the combination of a cake like crust and a layer of cream cheese and whipped cream topped with strawberries. It’s refreshing and delightful. If you like strawberries in your dessert, you’ll definitely enjoy this cake. Topped with a thick cream cheese frosting and sugared strawberries, it’s a yummy dream come true. Here’s a twist on the classic cracker toffee made with chocolate and caramel layered crackers that you’ll absolutely love. It’s easy to make and even easier to enjoy! Eventhough these brownies look fancy, they are really easy to make. And they are so yummy you’ll be making them over and over again. The peanut butter cheesecake has a dense yummy texture that you’ll just love. Strawberries and chocolate is definitely a winning combination and it comes together in these yummy brownies. They taste better than you can imagine. Easy but different brownies to make and enjoy. Each bite contains all the peanut butter goodness you crave for. These slutty cheesecake bars are stunningly delicious and you’ll enjoy every bit of them. 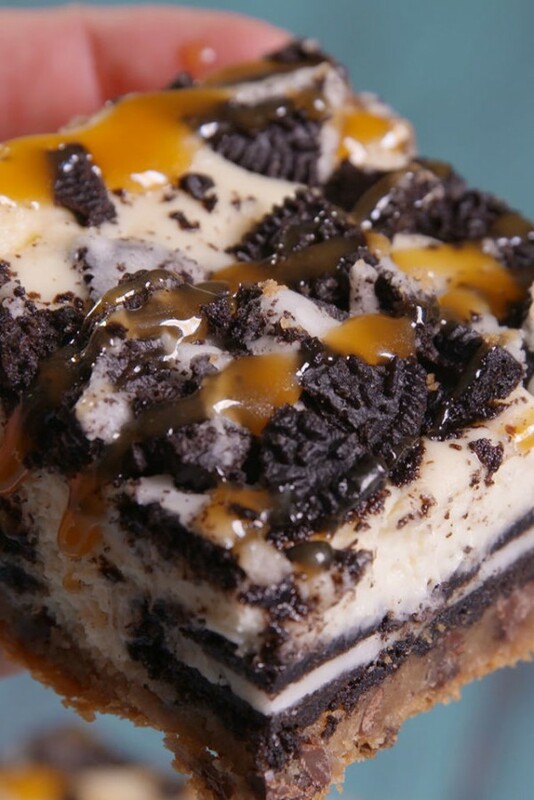 The tastes of cream cheese and Oreos come together nicely in this wonderful recipe. These little cookie snowballs are truly delightful and very easy to make. There’s no baking involved but you do need a food processor to make them. Enjoy the sweet goodness!